In a win for environmentalists, Gov. Jerry Brown signed 23 bills on Thursday, banning plastic microbeads, boosting composting, and divesting public retirement funds from coal. The microbead ban, AB 888, outlaws the sale of cosmetics and toothpaste that contain tiny plastic particles, which pollute waterways and are known to harm wildlife. The two composting bills require compost diversion from landfills and a report from cities and counties on how much compost they plan to produce over a 15-year period. Both will help San Francisco achieve its goal of zero waste by 2020. The new laws come a day after Brown approved the nation's most aggressive renewable energy goal: get 50 percent of California's energy from renewables by 2030. Currently, the state gets 25 percent of its energy from renewable sources like solar, wind and geothermal. •	AB 692 – Low-carbon transportation fuels. •	AB 793 – Energy efficiency. •	AB 802 – Energy efficiency. •	AB 808 – Automotive fuels and products. •	AB 864 – Oil spill response: environmentally and ecologically sensitive areas. •	AB 876 – Compostable organics. 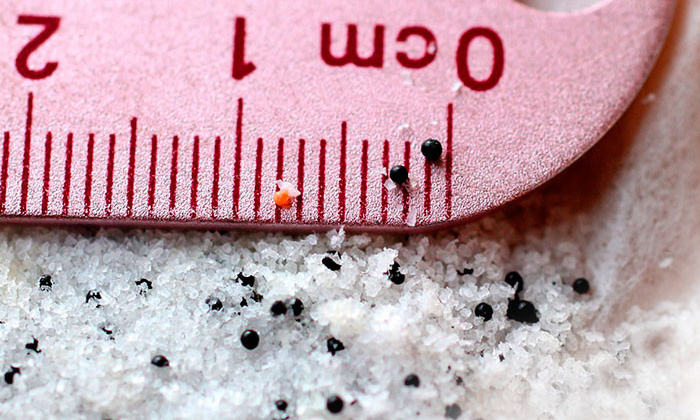 •	AB 888 – Waste management: plastic microbeads. •	AB 1034 – Surface mining: reclamation plans: renewable energy generation facility. •	AB 1045 – Organic waste: composting. •	AB 1150 – Energy: University of California and California State University partnership. •	AB 1236 – Local ordinances: electric vehicle charging stations. •	AB 1274 – Public lands: geophysical surveys. •	AB 1420 – Oil and gas: pipelines. •	AB 1448 – Personal energy conservation: real property restrictions. •	AB 1482 – Climate adaptation. •	AB 1496 – Methane emissions. •	SB 185 – Public retirement systems: public divestiture of thermal coal companies. •	SB 246 – Climate change adaptation. •	SB 295 – Pipeline safety: inspections. •	SB 379 – Land use: general plan: safety element. •	SB 414 – Oil spill response. •	SB 513 – Carl Moyer Memorial Air Quality Standards Attainment Program: fees. •	SB 673 – Hazardous waste.